The ‘Bathe’ Collection embodies the spirit to rejuvenate through functional articles with special grain emboss on pastels colored leather. This collection of compact leather goods designed with light, day to day, and youthfulness in mind. 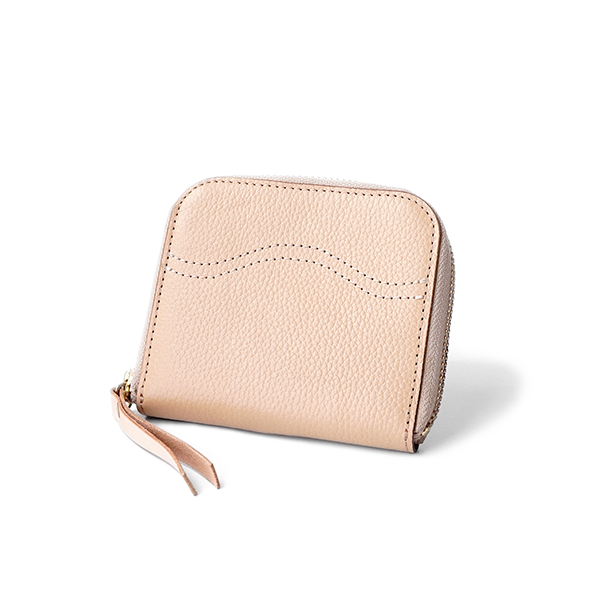 Ama is a zip around small wallet with multiple card slots and hidden compartment to store your folded money, receipts, and coins. Smooth natural calfskin leather used as the pull tab gives an interesting contrast of color and texture. Available in three color options: Camel, Dusty Blue, and Sage Gray.